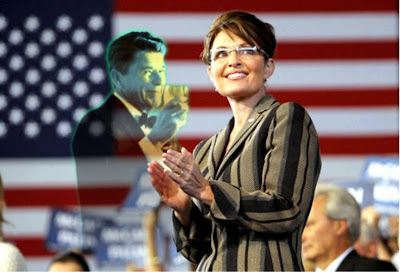 “Despite rumors of a looming controversy after the Republican governor’s surprise announcement Friday that she would leave office this month, some of them published in the blogosphere, the FBI’s Alaska spokesman said the bureau had no investigation into Palin for her activities as governor, as mayor or in any other capacity”(Meyer, 2009, ¶2). “There is absolutely no truth to those rumors that we’re investigating her or getting ready to indict her,” Special Agent Eric Gonzalez said in a phone interview Saturday. “It’s just not true.” He added that there was “no wiggle room” in his comments for any kind of inquiry (Meyer, 2009, ¶3). The foregoing is pursuant to libelous statements being made by Shannyn Moore and other leftist bloggers. Governor Palin is not under investigation for anything. On July 3rd, 2009, Governor Sarah Palin announced her intent to resign her gubernatorial duties and transfer the powers of Governor to Lt. Governor Sean Parnell. Almost immediately afterward, several unscrupulous people have asserted false and defamatory allegations that the “real” reasons for Governor Palin’s resignation stem from an alleged criminal investigation pertaining to the construction of the Wasilla Sports Complex. This canard was first floated by Democrat operatives in September 2008 during the national campaign and followed up by sympathetic Democratic writers. It was easily rebutted then as one of many fabrications about Sarah Palin. Just as power abhors a vacuum, modern journalism apparently abhors any type of due diligence and fact checking before scurrilous allegations are repeated as fact. Curtis D. Menard was instrumental in spearheading the effort from conception to realization of the Wasilla Sports Complex. He directed the steering committee that was responsible for placing the issue before the voters of Wasilla and subsequently passed. He remained chairman of that committee through the design and construction of the facility. He was an ardent supporter and leader of civic, educational and athletic endeavors within the community as well as an advocate of the continued success of the Sports Center. http://www.cityofwasilla.com/index.aspx?page=114. Thus, as any basic fact checker would learn, the Mayor of Wasilla is not listed as “chair” of the Steering Committee. As Mayor, Governor Palin did appoint the committee, another fact readily verifiable, and she was publicly on record supporting the need for such a facility—as was most of Wasilla. “Wasilla weighs sports facility” published December 6, 2001 and available at http://www.adn.com/sarah-palin/background/story/517370.html. While her public support of this project was deemed pivotal by many, the actual construction, bidding, financing and other day-to-day management of the project was not in her scope of authority as Mayor. In addition, Sarah Palin was then criticized by some of not showing enough interest in the project. The Frontiersman reported that at a public meeting with the Chamber of Commerce, an opponent of the project “accused Wasilla Mayor Sarah Palin of staying quiet about the arena because of her campaign for Lieutenant Governor.” “Sports Arena Campaign gets Rolling” http://www.frontiersman.com/articles/2002/02/21/news6.txt (February 22, 2002). The city uses competitive means for the purchase of all goods and services as required by Wasilla Municipal Code 5.08. The city also utilizes contracts and price agreements established by the State of Alaska, the Western States Contracting Alliance and other cooperatives or agencies when it is deemed to be in the best interest of the City. The city believes in open, fair competition and strives to ensure that all vendors have equal opportunity to compete for city business. The City of Wasilla operates under a decentralized purchasing system. This means purchasing decision up to $5,000 is made independently by the departments in the city (with the exception of Management Information System purchases). When the estimated amount for goods or services is between $5,000 and $9,999, departments are required to obtain three quotes prior to purchase. The departments may utilize the services of the Purchasing/Contracting Officer (PCO) for this process or may do it themselves; however, when this processed is selected, the PCO must sign off on the final product prior to purchasing or contracting. For purchases beyond $10,000, the city requires all departments to contact the PCO who will utilize the city’s bid process according to Wasilla Municipal Code 5.08. The bid process is initiated through either an Invitation to Bid (ITB), utilized when the city knows the specifications for the purchase; or a Request for Proposal (RFP), utilized when the exact specifications or process is unknown. Accordingly, the Sports Complex was publicly bid, in accordance with City and state law, and was accounted for in the time and manner all public projects are handled. The Mayor of Wasilla, be it Sarah Palin, or her successor, did not handle the funds, or the materials, for this project. To thus suggest she “embezzled” is as false as it is impossible. The additional claim of “proof” of wrongdoing is the allegation that the Palins purchased building materials from Spenard Builders Supply—and that this company may have provided supplies for the Sports Complex. Prior to the construction of Lowe’s and Home Depot within the last few years in Wasilla, Spenard Builders Supply was the primary building supply company in Wasilla. It can hardly come as a surprise that it would sell materials to small homeowners or that it would also bid to supply commercial contracts. One would be hard pressed to find a home, cabin or outbuilding in the Mat-Su Valley in which Spenard Builders Supply did not sell at least some of the materials. The Palins built their Lake Lucille house using Todd as the general contractor. Todd’s family owns a hardware and building supply business in Dillingham. He is no stranger to construction, or to rolling up his sleeves and doing work. The Palins used a combination of personal savings, equity from the sale of their prior home, and conventional bank financing to build the house—like millions of American families. The deeds of trust are recordable public records. Basic journalism and fact checking would confirm this. The Sports Complex was built in 2002. It is now 2009. While the Federal Government has a process to follow, and that process sometimes takes time, we can categorically state that we are not aware of any “federal investigation” that has been “pending” for the last seven years. We are aware of no subpoenas on SBS regarding the Palins. We are aware that the Federal Department of Justice and Federal Bureau of Investigation have been helpful, responsive and diligent in prosecuting the email hacker and in cleaning up Alaska’s corrupt legislators. To be blunt—this “story” was alleged during the campaign, evaluated then by national media and deemed meritless. Nothing has changed. To the extent several websites, most notably liberal Alaska blogger Shannyn Moore, are now claiming as “fact” that Governor Palin resigned because she is “under federal investigation” for embezzlement or other criminal wrongdoing, we will be exploring legal options this week to address such defamation. This is to provide notice to Ms. Moore, and those who re-publish the defamation, such as Huffington Post, MSNBC, the New York Times and The Washington Post, that the Palins will not allow them to propagate defamatory material without answering to this in a court of law. Alaska Constitution Art. I, Sec. 5.
http://ltgov.state.ak.us/constitution.php?section=1. These falsehoods abuse the right to free speech; continuing to publish these falsehoods of criminal activity is reckless, done without any regard for the truth, and is actionable.